Whether you’re just visiting Brooklyn or you’re looking for a new place for drinks, hotel bars offer a variety of options to guests and Brooklynites alike. Hotel bars are always convenient, but in Downtown Brooklyn they’re also genuinely great bars. Choose from a variety of hotel offerings: from cocktails on the roof to beers at the bar, there’s quite a selection of locales. Take a break from your day exploring Brooklyn and NYC, or stray from your usual watering hole, and enjoy the easy walk to your next round. 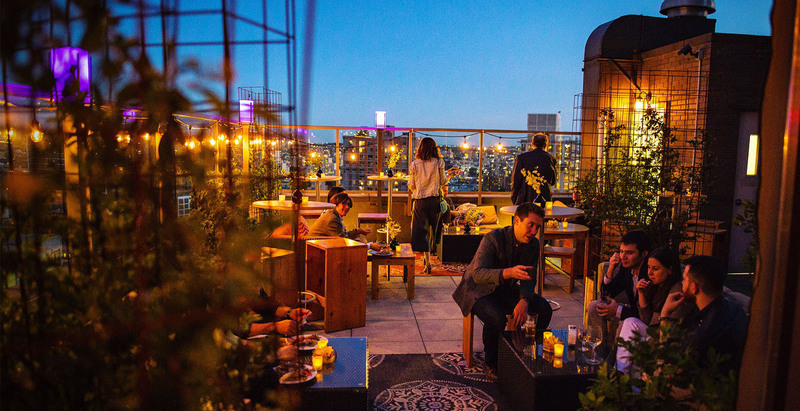 Pictured above, high atop the Aloft and Sheraton Hotels in Downtown Brooklyn is New York City’s first Asian rooftop beer garden serving a curated selection of Japanese craft beers, Whiskys, and signature Izakaya-style food. 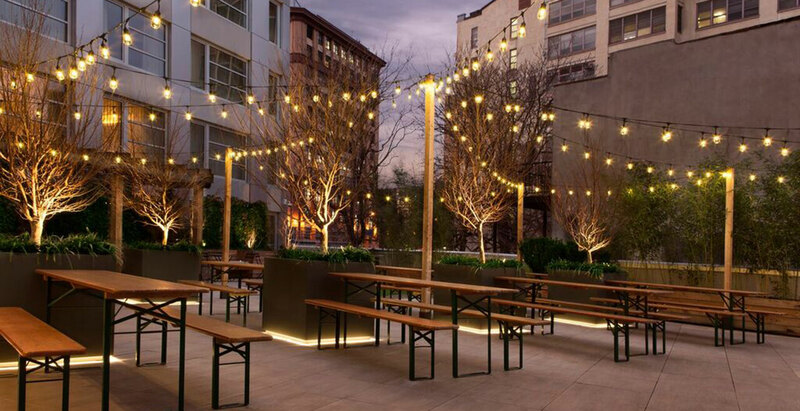 Take in breathtaking views of Brooklyn and the Statue of Liberty year-round from Kimoto’s heated outdoor terrace, just steps from BAM, MetroTech, and the heart of Downtown Brooklyn. 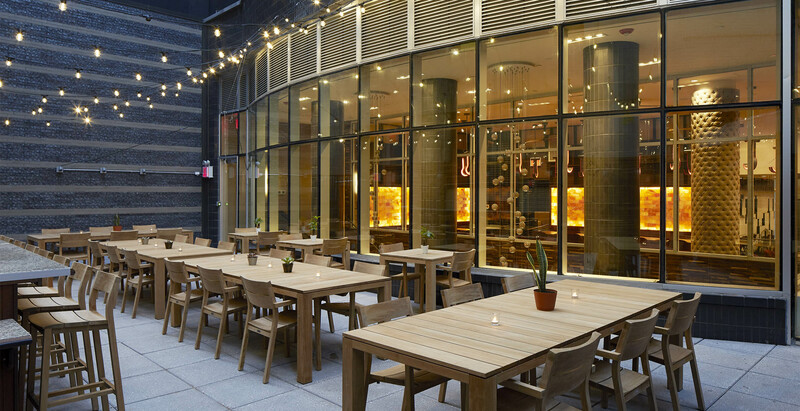 Misdemeanor Bar and Lounge is a sidewalk cafe and bar located in the NU Hotel Brooklyn. With large windows and the bustle of the boutique hotel, the cafe has an airy feel that can only be described as the perfect mix of urban cool and laid back. The bar serves a unique array of signature cocktails and small plates designed by Chef Jehangir Mehta, renowned for his delightfully simple yet surprisingly complex offerings. With a full indoor bar and an outdoor space strung with lights and set with German school yard-style tables, Distillary Drink at Tillary Hotel Brooklyn (formerly the Dazzler Brooklyn) has fast become Brooklyn’s go-to gathering spot for mixing and mingling. The open air space is open during the summer months and, weather permitting, the bar space is open year-round. 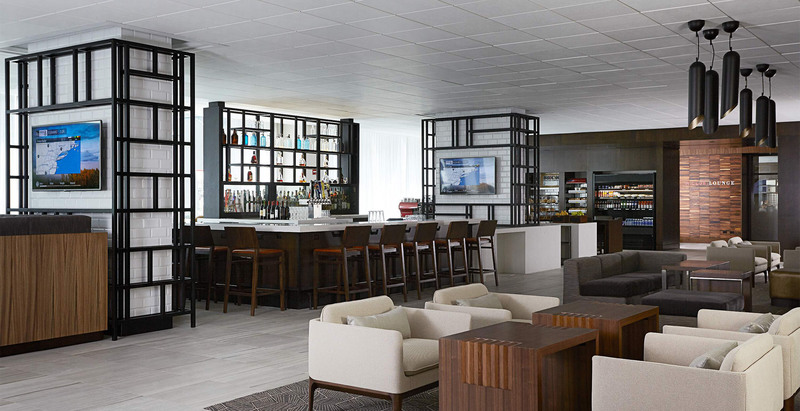 The bar space can comfortably sit up to 20 guests and airs all the best sports daily. Or you can enjoy complimentary table games inside on the white marble counters or outside at authentic German Bier Garden Tables. Be on the lookout for weekly themed parties and live spinning DJs! After a busy day spent exploring downtown Brooklyn or strolling across the bridge, visit this hotel restaurant + bar for shareable plates and a daily happy hour from 4:30 - 6:30pm. Surrounded by lounges, this upscale bar still feels intimate, and the conversation can move to any nearby cluster of chairs and tables if need be. Open daily until midnight and boasting an extensive assortment of wines, beers, and appetizers, this hotel bar is the perfect place to relax and grab a nice drink with visitors, friends, or all of the above. With 12 HDTVs, a fully stocked bar, and late-night food options available until 2am, they’ve got you covered for the big game or just a round of drinks with your favorite people. And with 12 taps on draft + 40 varieties of bottled beer, you’re not likely to tire of the same old brews. 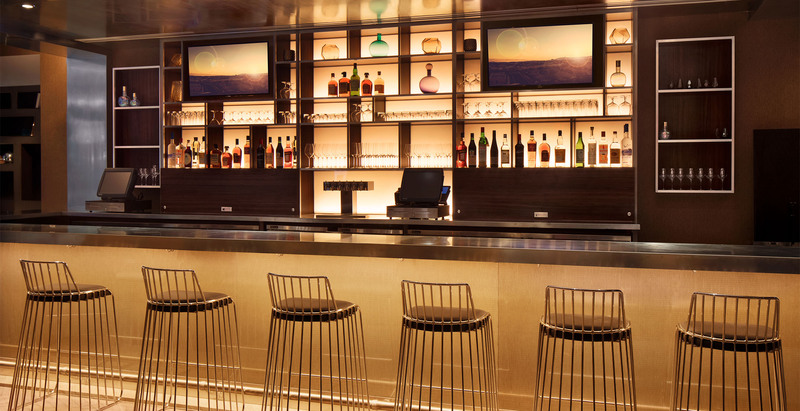 With a full bar and an elegant feel, Black Walnut should easily satisfy all your needs if you’re looking for a more upscale cocktail experience. Written up in publications such as New York Magazine, this local hidden gem is sure to impress. And if hunger strikes, Black Walnut offers a full menu of Southern-inspired creations crafted by well-known chef Rob Newton. At this wellness-themed hotel, being “happy” is clearly a part of the theme, and for this reason this hotel bar has Happy Hour every day. And if a whole drink isn’t in the cards, half-glasses of wine and beer are available as well. Known for their helpful staff, this bar will suit anyone looking for an easy dining experience. The hotel restaurant also serves healthy meals, so no need to worry about typical, greasy, bar food. SaltBrick Tavern, a contemporary pub in Downtown Brooklyn, not only boasts a daily happy hour, but also a mouth-watering array of meals, snacks, and desserts. Situated right next door to the Hampton Inn, it offers a convenient but full experience, with a festive outdoor space and a warm indoor space for year-round comfort. As they say on their website, if you’re in the mood for traditional “tavern fare, enhanced by creativity and elevated hospitality,” then look no further! 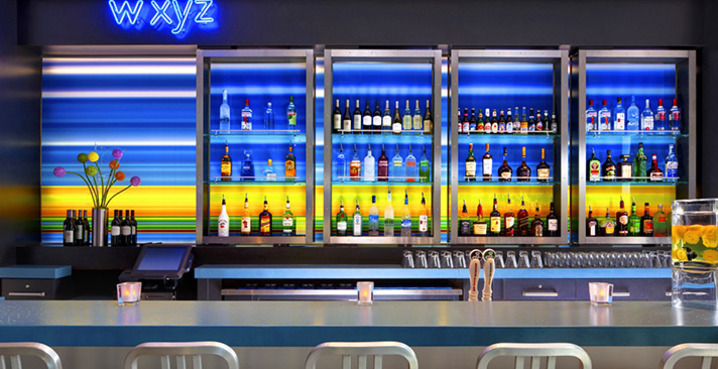 Located right in the lobby of Aloft Brooklyn, this low-key bar offers mood music and eclectic lighting to socialize, sip a drink or play a pick-up game of pool. With only a handful of seats, it might be best with a smaller group or just a friend or two - perfect for an intimate chat or drinks with a friend.